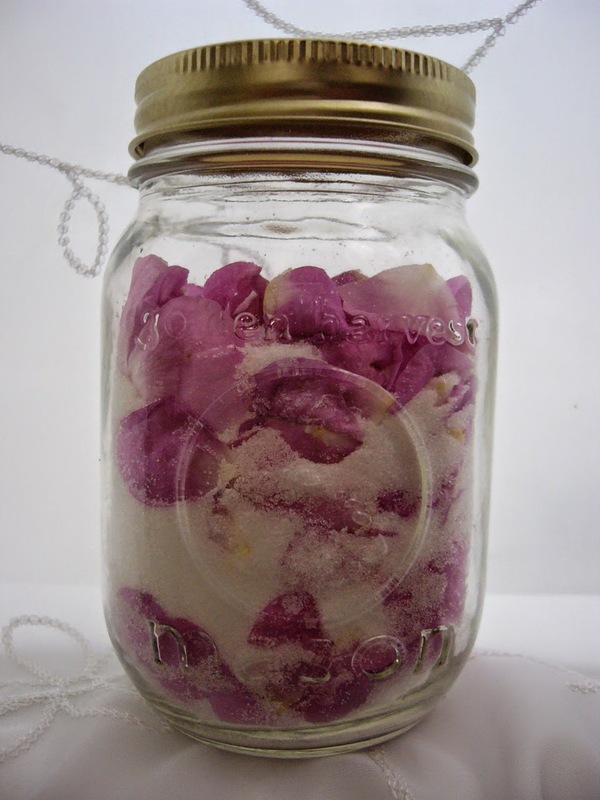 - Fill the jar most of the way with layers of sugar and rose petals. - Pour your oil in slowly and mix with a fork. - Leave overnight for the petals to break down a bit. - Scrub onto skin in the shower, and rinse!